The start to our week long celebration of all things bacon comes in the form of combining two of my favorite things: the bourbon old-fashioned and bacon. 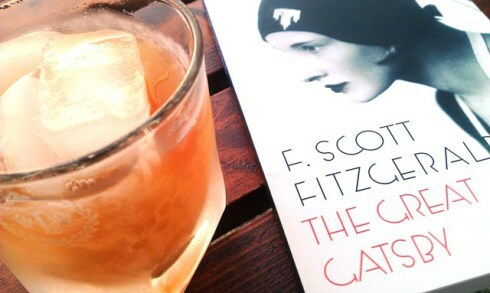 The old-fashioned is one of my favorite drinks. Just a little jazzed up from bourbon on the rocks, but without too much fuss or sweetness. There is a time and place for a Manhattan (winter) but I’ll drink old-fashioneds all year round. I make mine Wondrich-style (but with bourbon), just a little sugar, bitters, bourbon and ice. No oranges or cherries over here. For some reason, I intuitively sensed that bacon would pair well with the slightly smoky taste of bourbon, so on a lark, I searched the internet for bacon old-fashioned recipes. And look at what I found. The video is a really great explanation both of how to render the bacon fat into the bourbon, and of how to mix a really lovely old-fashioned, so I won’t over-explain myself here. I will just show you gorgeous pictures of the best drink I’ve had in months. Rendering bacon fat into bourbon doesn’t sound like it will be pretty — and it’s not. But when you freeze the alcohol, the fat really does separate and congeal, so it’s easy to clear out. Fun fact: frozen bacon fat looks like white chocolate. It is not whit chocolate. Do not attempt to eat it (no, I didn’t eat the congealed bacon fat). I didn’t want to use up all my bourbon, so I just used a few tablespoons of bacon fat into about ten ounces of bourbon. 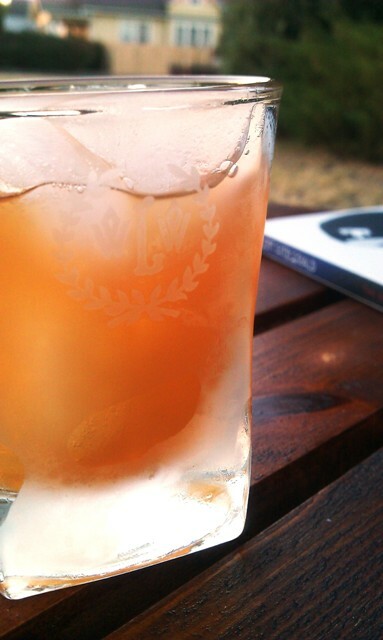 But the end product is a wonderfully smooth old-fashioned. The smokiness of the bacon comes through without making the drink taste heavy or fatty, and the addition of the maple syrup really smooths out the texture. I highly recommend trying it next time you feel like a cocktail with a little twist, or host a dinner party and want a cool drink trick. And so our bacon old-fashioned will start out Bacon Fest on We*Meat*Again with Bacon Lesson #1: Bacon goes with everything! From soup to greens to ice cream to bourbon, we’ll see the versatility of this pork treat showcased up and down. I sure will be sad to see our first annual Bacon Fest come to an end, but it will probably in the best interest of our arteries.